For a fee and with proper ID, the Division of Vital Records of the Maryland Department of Health and Mental Hygiene will issue certified copies of birth and death records, fetal death, and marriage and death records. 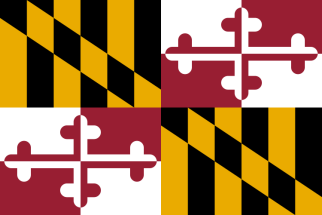 Maryland birth records are available to individuals, parents or guardians, and legal representatives. Maryland death records are available to survivors and funeral directors. Both kinds of Maryland vital records are available to any individual with a proven need or by order of a court of law. Same-day service for birth certificates is available for individuals born in Maryland after 1939 at local health departments in all jurisdictions except Montgomery County, Baltimore City, and Baltimore County. Payment for certificates with the Maryland Department of Health and Mental Hygiene can be made by cash, check, money order, or online via VitalChek (http://www.vitalchek.com). Note: Birth certificates for individuals born in Maryland after 1939 are also available for same day service at local health departments in all jurisdictions except Montgomery County, Baltimore City, and Baltimore County. Record Access Requirements: Must have a notarized signed release from person of record or mother or father, unless requester is parent or guardian or person listed. Record Access Requirements: Must have a signed release from immediate family member. A signature is required from the requester. Note: Include copy of photo ID with request. Record Access Requirements: There are no loans of books or records. Photocopies are available. Searches may be accomplished in-person or through the mail.